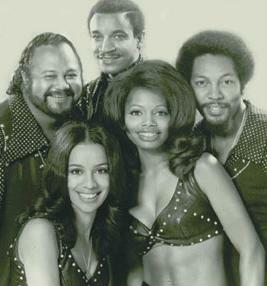 Pop group The 5th Dimension had a hit song in late 1960’s called Up, Up and Away. It was an upbeat, feel-good song that was about riding in a hot-air balloon. It was played over and over on AM radio stations around the country and won a Grammy in 1968. Today, the idea of “up, up and away” defines the costs of materials. We have all been shocked by recent increases in fuel prices, but steel prices have risen more dramatically in the same timeframe. In 18 months, gas prices rose from $2.50 to $3.50 per gallon… a 40% increase. In the same timeframe, steel prices increased by 65%. This increase can be attributed to the rising fuel costs, increasing global demand and negative influences in supplies. One such negative factor was the torrential rains and flooding in Australia that filled coke mines. This coke is deemed the best in the world for smelting the high-tech steel ores used today. Steel is the main component in every major item that Standard Tools and Equipment sells. The costs for items such as spray booths, mixing rooms, collision repair equipment, lifts and tire service equipment are all greatly influenced by the price of steel. Experts in the metals market predict that metal prices will only continue to rise through 2011 due to fuel cost and increases in demand, especially in developing countries. Standard Tools and Equipment is working diligently to control the costs and provide our customers with low prices, but as steel prices increase, product costs will eventually have to follow. Buying your next spray booth, frame machine, lift or piece of tire equipment sooner rather than later is advantageous to avoid paying a higher cost later. We are not trying to scare you or unjustly motivate you to buy now. We simply want to provide up-to-date information to our valued customers. We believe that our customers are clever enough to learn the facts that influence their business decisions and profitability. The team at Standard Tools and Equipment can help you with any questions you may have on the rising steel costs and how that will effect you!